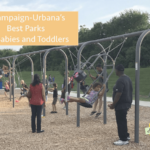 We list some of the reasons why we think these Champaign-Urbana parks are particularly good choices for babies and toddlers. 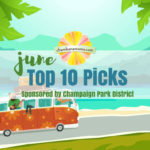 June is jam-packed with family fun — check out our top 10 picks for Champaign-Urbana area fun this month. Chambanamoms.com and Christie Clinic have partnered together to create six FREE summer playdates at six amazing locations around Champaign-Urbana. Chambanamoms.com, Christie Clinic, and Lodgic have partnered together to create 6 FREE summer playdates at 6 amazing locations around Champaign-Urbana.